In a world drowning in wealth; in the richest era ever in the history of humankind; in one of the richest nations on the face of the planet and one of the richest cities in that nation, it’s a crime we have people living on the streets of Vancouver. It’s even more of a crime we don’t seem to have the political will to fix it. I say this in light of BC Housing’s strategy (really, the strategy of the BC Liberal government) to sell off Stamps Place in Strathcona and Nicholson Towers in the West End to non-profit housing organizations. Together, the two buildings contain almost 600 subsidized housing apartments, many of them with multiple bedrooms suitable for families — rare housing stock in our city. It’s just the tip of the iceberg as BC Housing will be selling 350 properties over the next 3 years. But with ever-increasing levels of homelessness we, as a society, should be investing in social housing — not selling it. And all levels of government should be using whatever tools they have in their toolboxes to do so. At the municipal level, it’s a crime we aren’t applying the power of rezoning, which essentially turns dirt into gold, to create significant amounts of social housing. Every time developers come to City Hall wanting more density, and they get it when the property is rezoned and the floor space ratio (FSR) increases, profit is created out of thin air. The higher the building, the greater the value of the land. So Vancouver, or any municipality, could easily stipulate if you’re going to build a development of more than, say, 5 storeys, it must contain a certain percentage of social housing units — say, 20%. Those units would have their rent geared to the ratio set decades ago by Canada Mortgage and Housing Corporation (CMHC) as reasonable: nobody should pay more than 30% of their income on housing. The fault isn’t with the non-profits taking over ownership and operation of these buildings about to be transferred to them and out of the name of the Crown (i.e. BC Housing). The problem is there’s no binding requirement attached to the transfer that the non-profits must keep all of the units earmarked only for people who need social housing and rented at below-market rates tied to a person’s income. Instead, up to 50% of the units can be rented at market rates. I’m not the only one already predicting, with absolute certainty, that as the BC government reduces funding to the non-profits taking over this social housing, they’ll have no choice but to incrementally increase the number of units rented out at market rates in order to make ends meet. That will mean taking units out of the social housing mix. So the provincial government — very cleverly and very creatively — is going to force non-profits to be the boogeyman and do the dirty work that the government, through BC Housing, would have done regardless. It’s nothing short of a crime, only in this case, the ones who should be preventing it are actually the perpetrators. 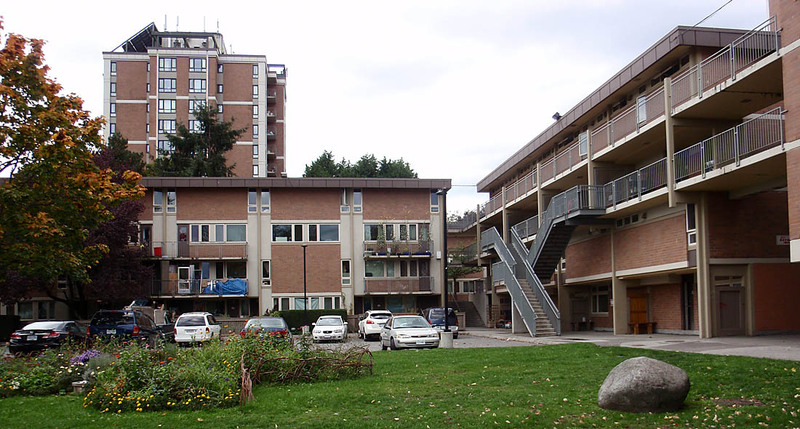 This entry was posted in affordable housing, British Columbia, City Hall, Metro Vancouver, social justice, Vancouver. Bookmark the permalink. Thanks Tim for articule that points out quite clearly why Liberal government would do such a thing . I suspected they had a agenda now I know what it is.